The online Photo Tour gives site visitors a feel for the inside of the gallery. 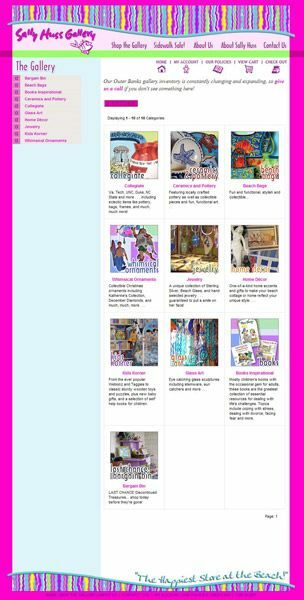 The Sally Huss Art Gallery website was designed in the same style as the art produced by Sally Huss with use of bright pastel colors and samples of her art. Her main message through her art is happiness, and that is what we tried to portray through the design. 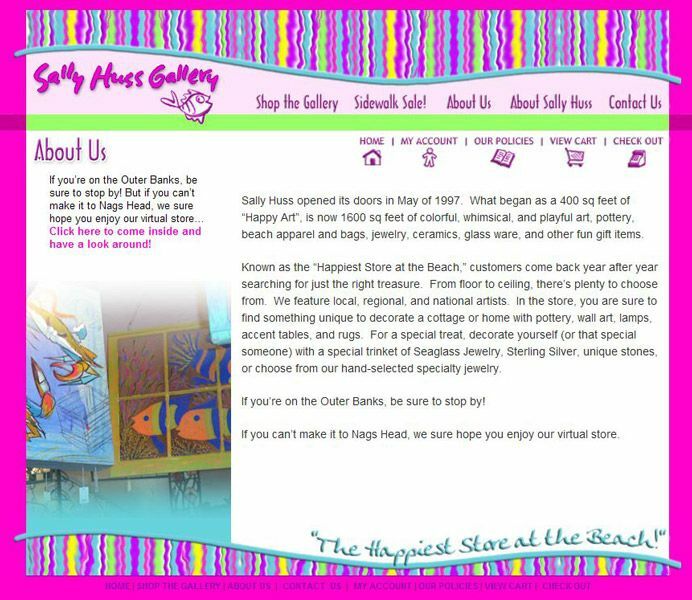 The main focus of the website itself is the online store with a few of the pages dedicated to about Sally Huss and about the gallery. 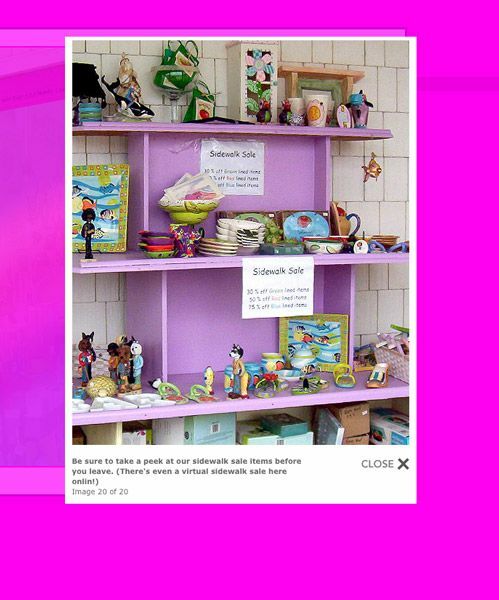 The store is seemlessly integrated into the site to maintain the same style and colors throughout. Once you are in the store section the products are easily browsed through with links down the left side that lead to the sections of the store. The site also makes good use of what they call the “sidewalk sale” where they constantly have products on sale. The store software includes all of the features you expect to find in online stores including wishlists, view cart details, easy checkout and more.